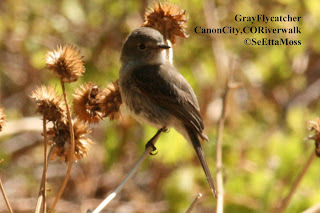 This morning I birded at a super neotropical migrant trap called Temple Grove. 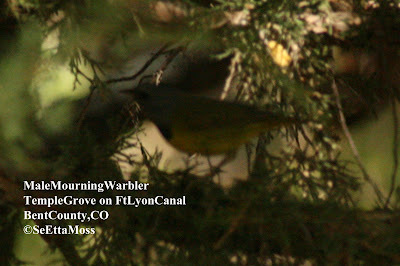 This is a unusual nice grove of trees and shrubs extending for close to a half mile along the Ft Lyon Canal--as this canal moves water to agricultural areas from the Arkansas River it is unusual to see such extensive vegetation as the canal companies routinely remove both native and non-native trees and shrubs to reduce water 'lost' to them. 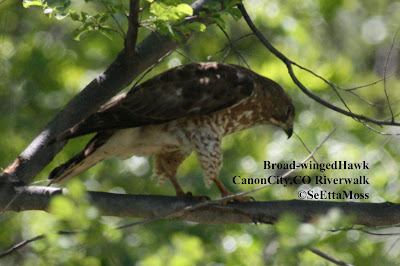 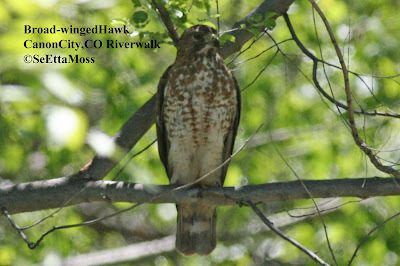 I photographed these two birds on the Canon City,CO Riverwalk this week. 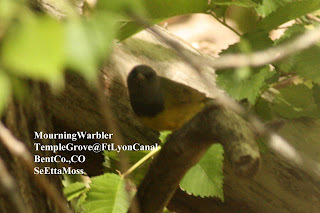 The female Black-headed Grosbeak flew in quite close but thought she was hidden behind the foliage. 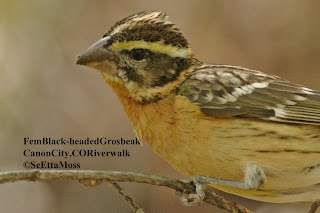 She was one of a number of Black-headed Grosbeak that were chasing each other as a part of breeding behavior. 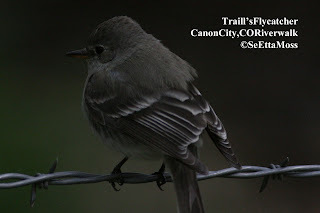 flycatchers moving through on their migration. 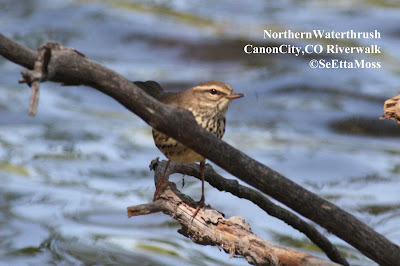 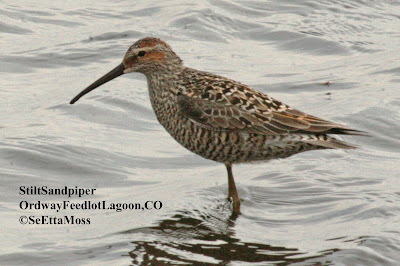 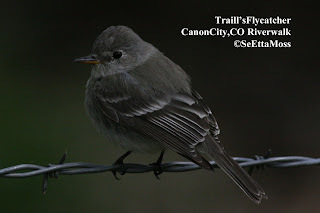 In fact, I saw 8-10 empids day before yesterday and at least 8 yesterday both on the Canon City Riverwalk and just east of Canon City. 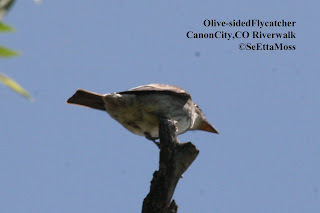 While birding on the Canon City, CO Riverwalk last week-end I spotted 2 large birds at the top of a tree over the trail and the top pic is what I saw--it took me a minute to realize that this was an Olive-sided Flycatcher from a bottoms-up view.